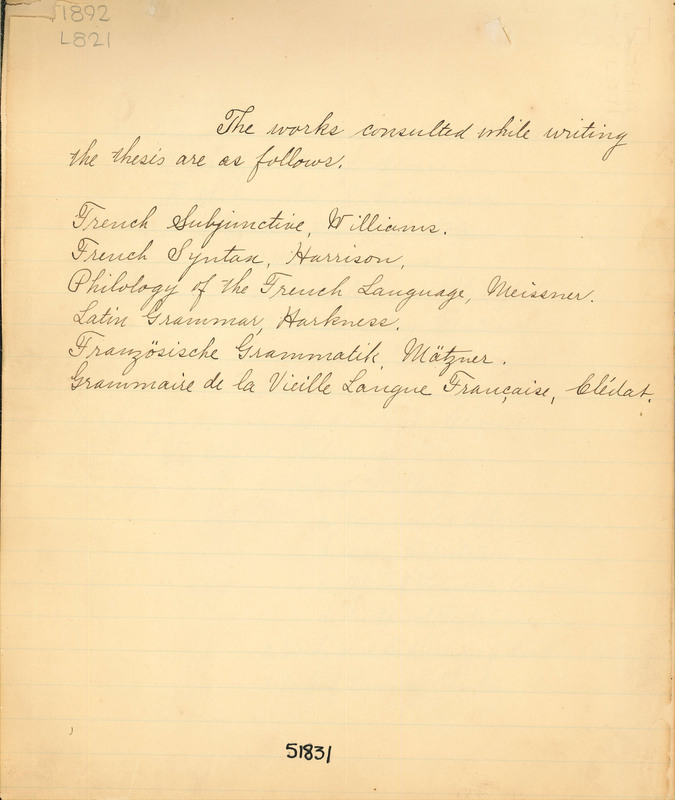 1892 L821 The works consulted while writing the thesis are as follows. French Subjective, Williams. French Syntax, Harrison. Philology of the French Language, Meissner. Latin Grammar, Harkness. Franzosische Grammatik. Matzner. Grammaire de la Vieille Langue Francaise, Clidat.